On our season finale episode of Off Peak, we interview a singular woman in transit history. 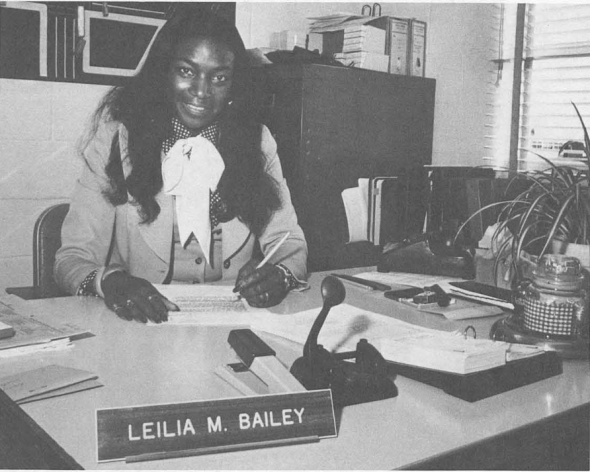 In 1971 Leilia Bailey-Leahy was the first woman hired as a bus operator in Los Angeles after World War II. She faced overt sexism and sexual harassment from her peers and supervisors. And outside, driving the bus, it was even harder, where passengers often refused to ride with her, called her names or simply threw their coins at her. In the face of all this Leilia persevered. She pushed for promotion after promotion. She was the first woman division dispatcher, the first woman division manager all thee way up to the first woman director of transportation. In fact, she achieved so many firsts for women that the plaque honoring her at Metro HQ can barely fit them all in. Leilia talks about growing up in the segregated south, her strong mother, her own strong-willed personality that allowed her to overcome all these obstacles, and her screwball romance with her rival in the agency. She also weighs in on this historic election. Don’t miss this amazing episode! Produced and reported by The Glue. I remember a female streetcar operator on the P line in 1959-62. Also I vaguely recall a female bus driver, blonde, with a very heavily lined face, age perhaps 50s, in the late 60s, in Hollywood or the Miracle Mile or Mid-city areas. I completely enjoyed this podcast. This was a unique and refreshing idea. Looking forward to more! Really liking this whole effort. Keep up the stories. Histories of the freeway system, old transit organizations, and LA’s first subway are just a few ideas for future episodes. Thank you for this story. Let’s not go back to these days, but move forward with respect for all in the working world. Remember to hire fairly in today’s climate. One Love.